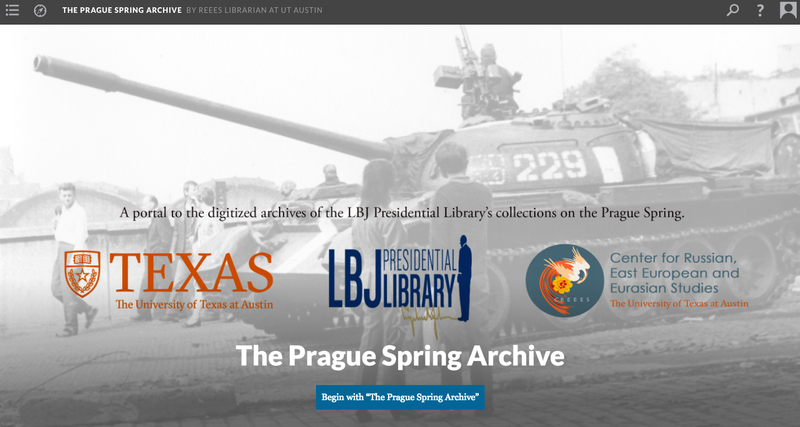 The Prague Spring Archive project, a collaboration between the Center for Russian, East European, and Eurasian Studies (CREEES) and UT Libraries, is now live. This open access online archive is the first step in a longer-term initiative by CREEES Director Mary Neuburger to digitize significant collections of primary documents from the the Lyndon Baines Johnson Presidential Library that shed light on the Cold War. While select documents from the LBJ collection can already be found online, CREEES is working to digitize National Security country files from the former Eastern Bloc in their entirety. Because these documents are open record, the LBJ Presidential Library has allowed unlimited scanning and open access presentation of such documents. The hope is that they will appeal to a wide and inclusive audience of students, instructors, scholars, and the general public. Phase One of this project, largely comprised of National Security Files on Czechoslovakia, is nearly complete. The bulk of the documents in this collection focus on the so-called “Czechoslovak Crisis,” otherwise known as the Prague Spring, and its aftermath. The Prague Spring was one of the most dramatic and popular experiments in Communist Party reform, which took place in Czechoslovakia beginning in January 1968, only to be crushed by an invasion of Soviet and Warsaw Pact troops on August 21 of the same year. This event was a major turning point in the Cold War and the history of communism more generally as the wave of reforms brought such a high degree of hope and enthusiasm and its suppression precipitated such deep disillusionment in the region and among the global left. It was the end, in a sense, of any hope for the communist system to be reformed and as such could be seen as the beginning of the end for the system itself. The LBJ Library documents on Prague Spring are a treasure trove for historical research as they chronicle the event through detailed intelligence reports and day-by-day commentary by US policy makers. They include briefs on global reactions to the crisis, which many at the time thought could precipitate World War III. These documents are valuable both from a US policy standpoint and for a deeper understanding of the events and developments within the region itself. As the documents are all in English, they have the potential to be used for everything from academic historical research to student research. 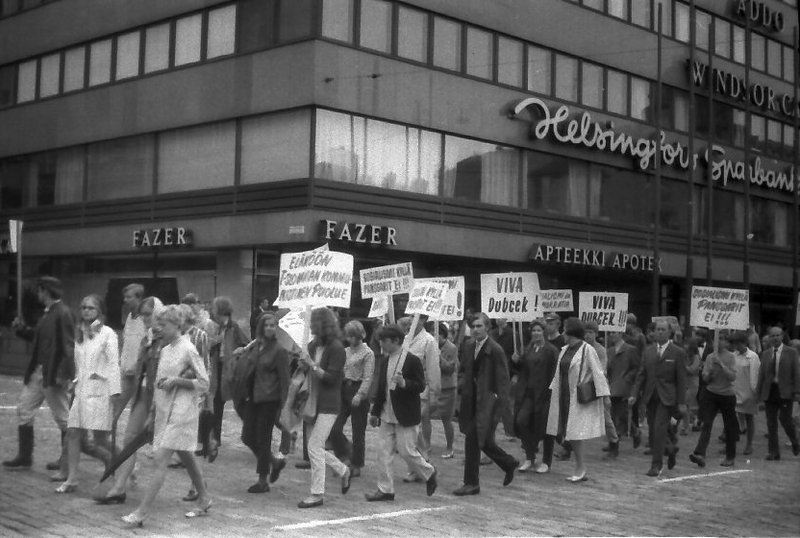 Helsinki demonstration against the invasion of Czechoslovakia in 1968 (via Wikimedia Commons). Ian Goodale, the new Russian, East European, and Eurasian Studies & Digital Scholarship Librarian, worked closely with graduate students from the School of Information at UT Austin and undergraduate students from CREEES to photograph the documents in the reading room at the LBJ. 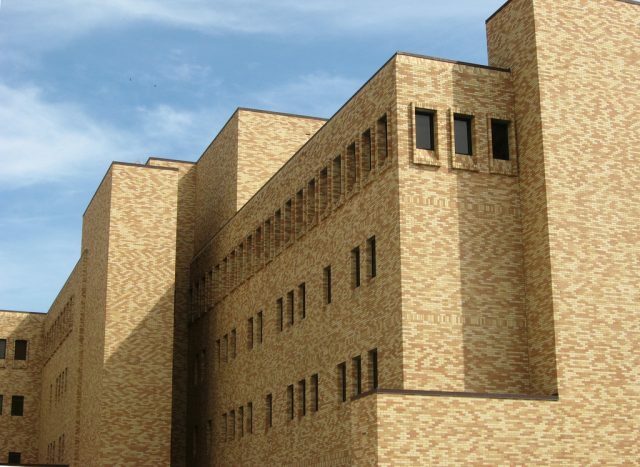 He then collaborated with the UT Libraries to process the images into archival-quality PDFs for ingestion into Texas ScholarWorks, the university’s digital repository. These PDFs were made machine-readable so that they are full-text searchable in the repository and Ian worked to create extensive metadata for each document to make the collection more discoverable. Finally, the students in Mary Neuburger and Vlad Beronja’s Graduate Seminar on Russian, East European and Eurasian Studies worked with Ian over the last semester to create a guide to the collection. Ian did an amazing job of building a Scalar website as a portal for the guide, which provides summary descriptions of most of the folders and specific links to some of the most interesting documents. Careful attention was paid to making the site accessible both to academic researchers and to patrons conducting personal or non-academic research, with additional features planned that will extend the breadth of the site’s audience. A module that will include materials aimed at high school and middle school teachers and students, including sample lesson plans and educational activities, will be added in the future. For researchers who would like to explore what is available in the physical collections of the LBJ Library, the finding aid for the entire archival collection is also available on the site. UT CREES is located in Burdine Hall (Zug55 via flickr). The Prague Spring Archive portal is a resource that will continue to grow, with new content and features continually added and expanded upon. By providing open access to important primary source materials, the project will continue to contribute to international scholarly communities, utilizing practices and tools of the digital humanities to freely share its content in an attractive, easily navigable portal. Digitization work on the larger Cold War project is ongoing, with new materials currently being photographed, processed, and added to Texas ScholarWorks by graduate student Nicole Marino and Russian, East European, & Eurasian Studies and Digital Scholarship Librarian Ian Goodale. Balkan Smoke: Tobacco & Smoking in Bulgaria. The Museum of Sour Milk: History Lessons on Bulgarian Yogurt. Restless Youth: The CIA, Socialist Humanism, and Yugoslavia’s 1968 Student Protests.